Angela worked for ten years as a psychiatric nurse in St Albans, London and Cardiff, before training as a fine-artist. After completing her BA in 1990, she combined her mental health experience and creative skills to run art groups in both the statutory and voluntary sectors. 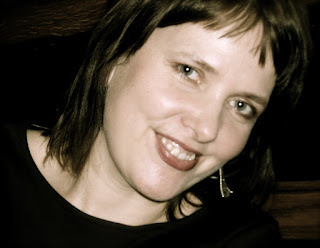 After completing an MA in The Teaching and Practice of Creative Writing at Cardiff University in 1999, Angela developed 'Finding a Voice', freelance creative writing classes and workshops across South Wales. This included the ten week beginners and follow-on women's writing programmes she ran at Chapter Arts Centre in Cardiff between 2000 and 2013, and from which some exciting new writers emerged and published. During this time, Angela enrolled for a Ph.D in Creative & Critical Writing at Cardiff University which she completed in 2005. Angela's novel Auschwitz was first published by Two Ravens Press in May 2008, a second edition with Colico in January 2014, and a third edition in June 2016 with Galileo Press. 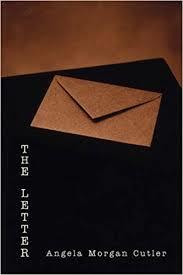 Her second novel, The Letter, was published by Two Raven's Press in January 2011 (see descriptions of both books below). Since that time Angela has been working on her third novel Windows when able to take time out from a busy schedule campaigning at a national level for a greater awareness of autism (see excerpt from Windows). DESCRIPTION FROM BACK COVER. 'Auschwitz: a place where millions were killed and which thousands now visit each year. A mass grave—and a tourist destination. The focus of this work of autobiographical fiction is on the sightseers, the curious that are drawn to visit. It is a book that questions our need to look: what is there to uncover, other than the difficulty of peering into such a place and into a subject that has been obsessively documented, yet can never really be understood? How to write about Auschwitz in the twenty-first century, in a time when the last generation of survivors is soon to be lost? This is also a book that searches for a personal story. It opens on a local bus that takes Angela, her husband En (whose mother survived the holocaust where most of her family did not) and their two sons to Auschwitz sixty years after the holocaust, and ends in a pine forest outside Minsk where En's grandparents were shot in May 1942. The backbone of Auschwitz is a series of emails between the author and acclaimed Franco-American writer Raymond Federman. At the age of 14, Federman (now approaching 80) was hastily thrust into the small upstairs closet of their Paris apartment by his mother just before she, his father and two sisters were taken to Auschwitz, where they were killed. "Barriers to Engaging with Holocaust Tourist Sites"
DESCRIPTION FROM BACK COVER.Following on from the success of her first book, Auschwitz, Angela Morgan Cutler offers us another 'novel' that defies easy definition or assignment to a fixed genre. The Letter creates its own category. It takes the form of a reply to the anonymous author of a threat letter that was sent to the narrator's husband, En. Instead of the natural response, to freeze or lose language in reaction to such a threat, the book releases a voice that faces the anonymous other who wrote it; a continuous, digressive reply that winds its way through daily observations, reminiscences and reflections that succeed in creating a distance from the potential violence imposed on the family. The Letter is also an affirmation of home and of the restorative power of storytelling as the book flips between the UK - in the days and weeks that follow the arrival of the letter, with all the paranoia and imaginative leaps that fear evokes—and Spain, months later, when the threat begins to subside. Interspersed throughout the text are accounts of other people's stories—examples of written threats they too have received—and interviews with others caught up in the event: family, friends, a police officer, a postman, a counsellor; all sharing their own perspectives on the process of being threatened, bullied, or stalked. The Letter is a response to a threat that can never be sent: there is no return address. And yet, the narrator's reply to the unknown author of the threat remains as a powerful trace of the experience, and a testament to so many stories left untold.